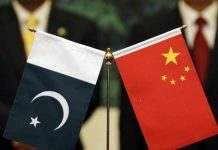 “Growth in the Middle East, North Africa, Afghanistan, and Pakistan region is expected to remain subdued at 2.4 percent in 2019 before recovering to about 3 percent in 2020,” the global lender said in its World Economic Outlook update for January. 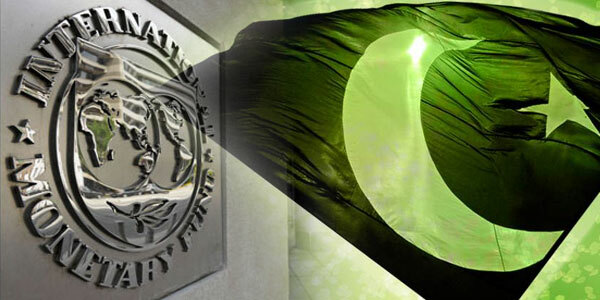 DUBAI: The International Monetary Fund on Monday lowered its 2019 economic growth forecast for Pakistan and the region by 0.3 percentage points to 2.4 percent. The IMF lowered its projection for Saudi Arabia´s gross domestic product growth this year to 1.8 percent, down from 2.4 percent in its October report. However, it raised its forecast for next year by 0.2 percentage points, to 2.1 percent. The world´s top crude exporter, the kingdom has been hit hard by tumbling oil prices and saw its economy shrink by 0.9 percent in 2017. The IMF said US-China trade confrontations, Brexit and other uncertainty are threatening to drag down global growth even further. The latest global economic forecasts was even more pessimistic than those released just three months ago, the IMF emphasized that risks dominate the outlook. The World Economic Outlook cut the global GDP forecast for this year to 3.5 percent from the 3.7 percent projected in October. And for 2020 the estimate was trimmed to 3.6 percent. And due to slowing momentum in the latter part of 2018, from trade tensions and rising fears on global financial markets, growth last year was expected to come in at just 3.7 percent, two-tenths slower than the October forecast. However, the world´s two largest economies, currently the source of most of the risk to global growth, did not see further downward revisions. “As seen in 2015-16, concerns about the health of China´s economy can trigger abrupt, wide-reaching sell-offs in financial and commodity markets,” the report said. In the case of Germany, the growth forecast for 2019 was cut 0.6 points to just 1.3 percent due to the impact on business and private consumption following new auto emissions standards — likely a one-time hit.